A child custody dispute is often trying for both parents, but, more often than not, it’s the child who suffers the most. When tempers flare and parents’ emotions run high, children can be left with emotional scars that last a lifetime. It’s almost always better for parents to resolve their custody issues with as little drama and acrimony as possible. Not only is this approach better for their children, but it often yields better results for you and your former partner as well. A knowledgeable Vancouver child custody attorney can help you establish a custody order that truly serves the best interests of you and your child. At John L. Davis PLLC, we focus on child custody issues and other family law matters. Contact our office today to schedule your free, 10-minute phone consultation with our dedicated child custody attorney. Parents grappling with a custody dispute may not realize that there are two different kinds of child custody in the state of Washington: “physical” and “legal” custody. The former concerns a child’s living arrangements. 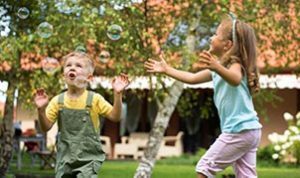 When shared jointly, the child usually divides their time between her or his parents’ homes, though the amount of time they spend at each location may not be equal. Legal custody, on the other hand, concerns issues such as where the child will go to school, obtain medical care, and receive religious instruction. Keep in mind that either parent is free to make decisions on an emergency basis for the sake of their child — assuming, of course, that the child is in their custody at the time. Put more simply: if your child is injured while she or he is in your care, you needn’t seek the other parent’s permission before taking your child to receive medical treatment. It is generally believed that children benefit from active involvement with both parents, especially after the turmoil of divorce. This is why Washington courts almost always award joint custody if both parents are willing and able to participate in making decisions about the child’s life. If the court decides to award sole physical custody, it is usually due to a lack of interest from one parent or because one parent has a history of abuse, domestic violence, or abandonment. The non-custodial parent typically retains visitation rights unless extenuating circumstances apply that would place the child in danger. Child custody arrangements are laid out clearly in what is called a parenting plan. This plan includes all of the specifics regarding the custodial rights of each parent, child support orders, visitation schedules, and other relevant details. We can help you draft your desired parenting plan to negotiate with during mediation or to present during your custody case in court. Mr. Davis can help you present the facts of your case in a manner that will protect the rights of you and your children. Whether you are seeking sole or joint custody, he will work tirelessly to obtain the outcome that serves your family best. John L. Davis PLLC knows what it takes to achieve success in child custody cases. If you and those you love most are struggling with a child custody dispute, call our Vancouver office at (360) 597-4740 today to schedule your free 10-minute phone consultation.